Western life today often means sitting at a desk, in front of a computer or TV or behind the wheel of a vehicle where we lose contact with the earth and nature. In addition, with the often fast pace and stress of modern life the body tends to become out of balance, tight, rigid and lacking strength in the important core muscles. It is suggested that you regularly should be taking time out to become grounded in nature such as walking bare foot on a beach or walking in the rain forest. Yoga Chi Gung practice similarly harnesses the power of the natural energy. By incorporating visualisation techniques and exercises with nature in mind and natural breathing you can improve your wellbeing. In a Yoga Chi Gung practice we can stretch away the stress, flow and flex like a river harnessing the power of nature and the energy or chi within us. In connecting to the breath in postures, flows and meditation the practice helps the development of a healthy body and mind. With practice you will gradually find your essence as your subtle energy unfolds and you will dissolve stress and achieve balance with a healing natural life force. Postures like turtle squats and stretches and tree pose will build core strength and balance the masculine (yang) and feminine (yin) energies. Half day retreats in Mapleton start with a rain forest walk at 9:00 am with a Yoga Chi Gung practice at 10:15 am most Fridays each week. Contact Tony on MS 0419791860 for more information. I love our village markets at Peregian and Marcoola as the markets stalls enhance the business of the permanent shops and cafes and help us enjoy the outdoors. At the same time as being out of doors and in nature there is a vibrant rhythm as you experience the world. The diversity of food at the Marcoola Friday Night Markets with Turkish, Greek and Japanese to name a few cuisines means you get to enjoy some wonderful taste treats. We are so fortunate that the Sunshine Coast is multi-cultural and you feel as you have travelled the world with exotic tastes on offer. Similarly, there is a lots to experience at the Peregian Sunday Markets from upcycled goods, second hand books, new clothes, homewares, art works, plants, fruit and veg, music, food treats and more. If I can’t find a book at the market I head over to Annie’s Book Store in the village shops. Annie has a great range of books and I always seem to find that book I have just been looking for. This week as I worked through the great selection at Annie’s I came across “ Wabi Sabi – Japanese Wisdom for a Perfectly Imperfect Life” by Beth Kempton. I don’t have to even leave our shores to enjoy a whole new way to look at the world and our lives as I become engrossed in this good read. Wabi Sabi is the Japanese philosophy that engages the heart as it encourages us to start noticing more beauty to lift our spirits. It also encourages us to let go of judgement recognising the beauty found in simplicity. This includes loving nature and the rhythm of the seasons experiencing the world through all its changes. 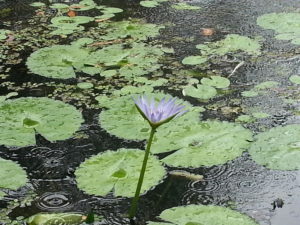 The very dry weather we have been experiencing on the Sunshine Coast and around Australia requires us to ensure we stay connected to nature and the seasons enjoying the dry and then the drenching rains when they come. 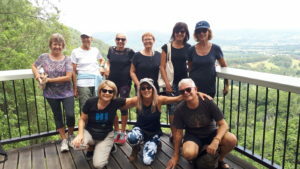 I love catching up with old friends for a walk and last weekend I managed to do a 3 hour walk and coffee in the Glasshouse Mountains. While we had not seen each other for nearly a year with a friendship spanning nearly forty years the connections are many and the conversation just flowed. Effective communication is an art form and there is a need to appreciate it is a two-way process with sending a message and receiving a message by listening. The message can often get distorted with different values, agendas, levels of trust, knowledge, power and status. Also, sometimes there are just too many messages for a person to accommodate and there is an overload and breakdown of communications. When there has been a longstanding trusting relationship and a one on one conversation like that with my friend, the chances of the message being distorted are far less. In coaching leaders and managers, I know it is important to know yourself first and put yourself in the other persons shoes to appreciate their perspective. I have attended lots of meetings and workshops and a jointly developed agenda, meeting minutes with action items and outcomes from the meeting are keys to these communication processes. The question needs to be asked did all the participants in the workshop or meeting get a fair say and of the issues raised was there a commitment to address those issues with a process and a way forward in a timely manner. Also, have the messages been disseminated and discussed with stakeholders not present at the meeting? No matter how good some people’s intentions on communication are there will be misunderstandings and incorrect messages making grievance resolution procedures necessary. This could be as simple as agreeing to go and have a coffee or talking on the phone. Everyone has a leadership role and we will always be in a process of both building and mending relationships as we try our best to communicate effectively. Every workplace should have a wellness strategy and it is great to see organisations like Toyota Australia concerned that many employees were not getting a good night sleep. Twenty-seven percent (27%) of workers in the B&S 2018 Worklife Survey undertaken in partnership with Medibank wanted Stress, Anxiety or Sleep Education classes. If 27 percent actually identified it, there are probably plenty more who are sleep deprived and trying to live busy lives travelling on half empty. This is third on the workplace wish list. Getting a good night sleep is one of the primary benefits of Yoga Chi Gung with SPIRIT.3H. The 3H stands for happiness health and harmony. Try Yoga Chi Gung and wake up feeling refreshed and overflowing with vitality. Be with the breath. I love to do a long walk in the wilderness each year up to about 100kms. The Cooloola Great Walk from Rainbow Beach to Tewantin through the high coastal dunes and headwaters of the Noosa River is one of my favourites. Like any journey, a great walk commences with a first step and then another. While many might think this seems to be an arduous journey, the passion for the experience started with many shorter walks that were gradually coming together in wonderful experiences of nature and working as a team. Such journeys therefore start with a lot of preparation, different experiences and gradual skill development so the fears dissolve as you enjoy each journey. A part of starting out on a new venture, a new job or another great walk is to challenge oneself, sharing with others and being prepared to learn new things overcoming fear and misunderstandings. I believe the skills picked up on a great walk can help you develop your own survival guide not just to do the walk but to change in your life. When you are out there walking in the open with the pack on your back and the storm front moves in quickly, you need to work with the situation at hand. On the great walk adventure we need to learn by doing, effectively responding to the changing environment and operating as a team. The different gifts and abilities of different people in a team will show that everyone has a leadership role. While somebody might have great map reading and navigational skills another person may be a great storyteller or be able to keep everyone going to reach that next campsite at the top of a hill. The great walks are a massive enjoyment and fun for me and by the end of the journey we will have moved from a group who started out together to now being a cohesive team. The shared adventure will build respect, trust and life time friendships. Take your first step as you live your passion today.